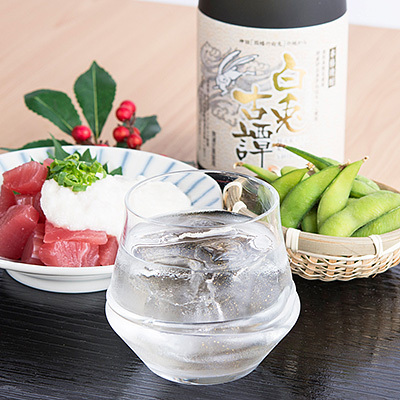 This full-bodied shochu makes use of the characteristics of the Nebarikko yams that are grown only in the sand dunes of Tottori Prefecture. It has the yams' flavor, sweetness, and richness, creating a refreshing taste and a rich fragrance. 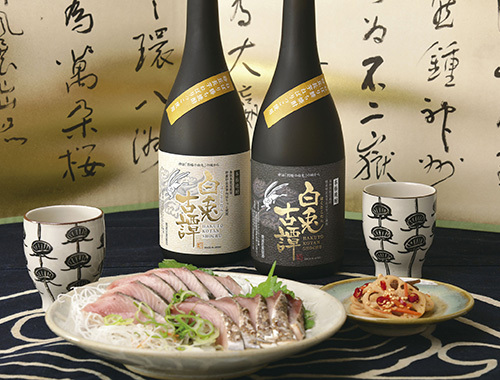 Nebarikko yams make up over 70% of the ingredients, so please enjoy this domestically important and authentic shochu. Straight, on the rocks, with hot or cold water. The story of the ""Hare of Inaba"" is a famous Japanese myth. A hare who had his fur peeled off by sharks was told by the deity, Daikoku-sama, ""If you wash your body with water, scatter cattail seeds on the ground, and roll around to cover yourself in the pollen, your skin will return to its original state."" The hare did as he was told, and his skin was restored. 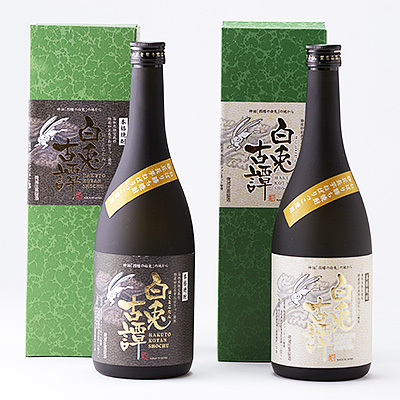 The delighted hare became the go-between in the marriage of the gentle Daikoku-sama and the princess. Hakutokotan has the recuperative power of the Nebarikko yams from which it is made, and it is named after the way in which the yams resemble the hare, the bringer of happiness. Nebarikko is a brand of yam developed over many years to have the ultimate stickiness. Cultivated in the sand dunes of Tottori Prefecture, it has less harshness than traditional varieties, and the white, high-grade yam has a dense pulp that is sweet and rich. We wanted to make a shochu using lots of this yam. 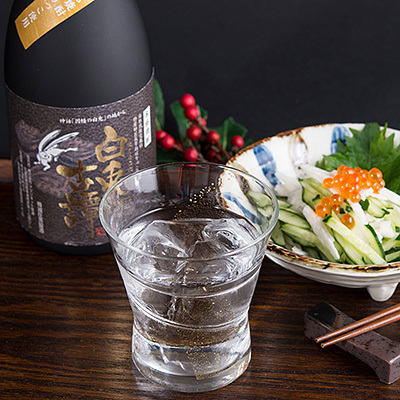 This shochu, which made that idea a reality, contains more than 70% Nebarikko. Its nickname is "Outtough Shochu." We hope it will become your favorite. ※ The consumption of alcoholic beverages by minors is prohibited by law. Please note that we do not sell alcohol to minors.